For location managers, castle hunting for a film location might mean a trek north to Newport, RI, or a flight "across the pond" to the English countryside. But they need not go that far. Only 30 minutes from Manhattan, and just a trip quick by car, train, or rail, tri-state location managers can have access to a robust portfolio of castles and grand estates In Westchester that lend a royal flair to film, commercial, and photography shoots. Our gilded filmography is extensive. 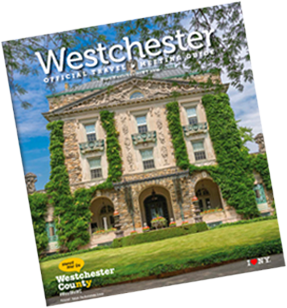 Whether setting the stage for outrageous wealth and privilege in "Reversal Of Fortune," or providing a lush backdrop for "A Winter&apos;s Tale," or offering the perfect locale for a prohibition era serial drama like "Boardwalk Empire," Westchester&apos;s architectural diversity is breathtaking. 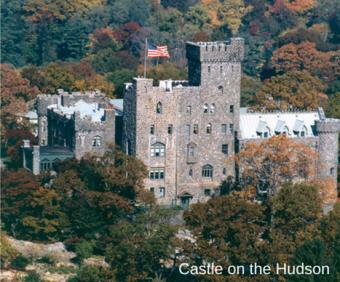 Lyndhurst Mansions is perhaps Westchester&apos;s most well known castle, with its imposing Gothic Revival architecture and enviable perch overlooking the Hudson River. With priceless art, historical furniture, and stunning landscapes, it&apos;s no wonder it&apos;s a National Trust for Historic Preservation site. 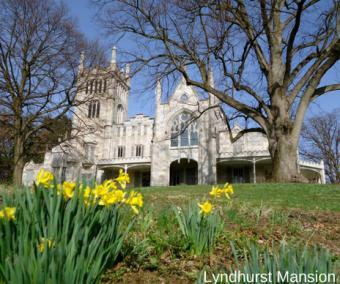 Lyndhurst boasts 12 buildings on 67 acres, and was originally built in 1838 as the home of William Paulding, Jr., who was the mayor of New York City in the 1820s. The home was later purchased by merchant George Merritt and eventually by the railroad tycoon Jay Gould. 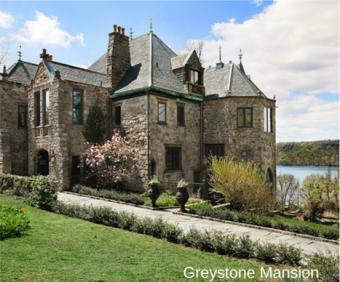 Greystone Court features panoramic views of the Hudson River and 28 period rooms with 300 years of history. This gray granite castle has become a sought-after filming destination for an array of productions, notably, HBO&apos;s crime period drama, "Boardwalk Empire." According to its curator, many of the rooms in Greystone Court were imported in their entirety from 16th, 17th, and 18th century European mansions. The mansion is frequently used for fashion magazine shoots, and has been featured in scenes from CW&apos;s Gossip Girl, the feature films "Gods Behaving Badly" and "Mona Lisa Smile," and Beyonce&apos;s music video for her hit song, Irreplaceable. At the turn of the 20th century, long before it became a world-class destination for relaxing and romantic getaways, the Castle Hotel & Spa held a prominent place in Westchester County and New York City society. Originally known as "Carrollcliffe" and owned by General Howard Carroll, a well-respected newspaperman, playwright and businessman, it was built in two stages between 1897 and 1910. The finished castle boasted 45 rooms. 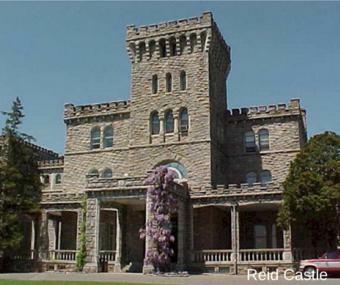 In 1981, the town of Tarrytown designated The Castle a historic landmark. Between 1994 and 1996 the Castle was transformed into a luxury hotel with a gourmet restaurant, and meeting and event facilities. In 1888, Reid Castle, then called Ophir Farm, became the country estate of Whitelaw Reid, owner of The New York Tribune. On July 14, 1888, only a month before the Reids were scheduled to move in, a fire caused by a short circuit swept through the house. Within a few hours, the mansion was in ruins. Not discouraged, the Reids decided to rebuild on a greater and grander scale than before. Reid, who had lived in France while serving as U.S. Ambassador, and his wife, translated many of their experiences into Reid Castle&apos;s design and décor. When they returned in 1892 for the grand opening, the mansion – renamed Ophir Hall - was already acclaimed as a work of art. Manhattanville College of the Sacred Heart, which had been located in New York City since 1841, purchased 250 acres of the estate in July 1949.